Horse and rider must be paid DASC members in good standing at the time scores are earned. 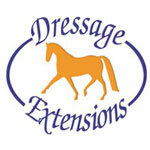 Owners (if not the same as the rider) must be paid DASC members for breed recognition awards. Horse and rider combinations may earn scores at any test in the level to qualify. In keeping with USEF and USDF procedures – DASC will use the *median* score of all eligible scores to determine ranking.